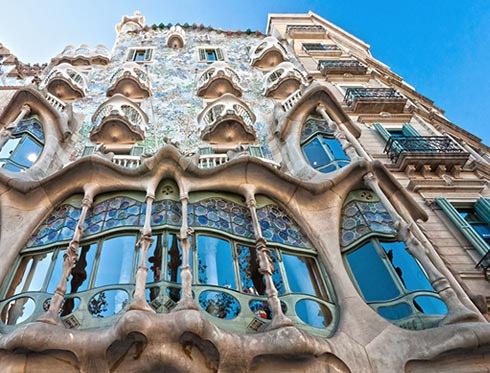 The Casa Batlló is another of Gaudí's masterpieces, and has been declared a UNESCO World Heritage Site. If you visit it, you can see the attic, the roof and the apartment that was home to the Batlló family, decorated in the modernista style of the period. It is one of the buildings making up the so-called "Block of Discord".